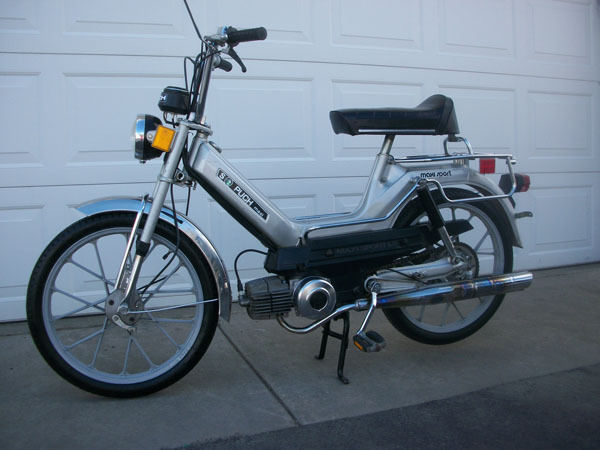 Up for sale is another really nice early version 1977 Silver Puch Maxi Sport. We just went through and serviced this entire bike from the front wheel all the way to the back wheel. Everything has been fixed, lubed, tuned and tested. 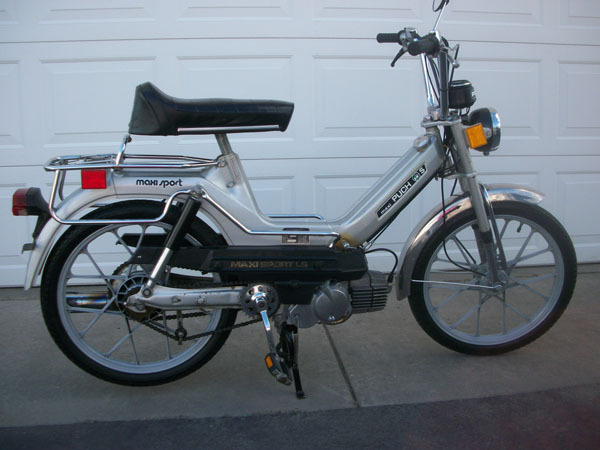 This moped should give you years of trouble-free and reliable transportation. All the components on this moped are in good to excellent shape. The tires are not new but also do not show any weather-checking. Tread is at about 50% or greater. Brakes, ignition points, cables and other wear items are all in good condition. The bike is also in very good cosmetic shape including the decals, paint and chrome. Buy it now while the snow is still on the ground for $650.00 and we’ll bring it to your front door if you want us to at no charge!